I had been struggling with this problem a while before I did manage to find a work around. It was actually quite important for me to change the font name in Bode plots because I decided to use everywhere Cambria in my report. Normally Heveltiva is used by default in Matlab. 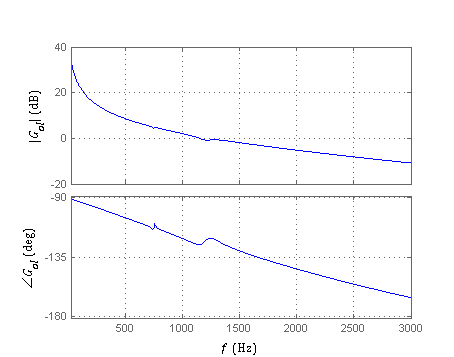 In general it is possible to change font in Matlab plots without any problems. But this is in case the standard package. It should be emphasized that each of Matlab toolboxes is developed by separated teams of specialists. That is why sometimes different features can be solved with a different approach and actually in Control System Toolbox it is not predicted to change font name. You can change the size or style but not the name. 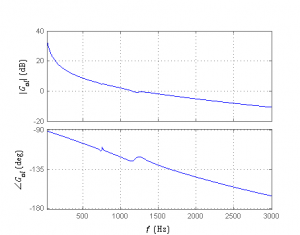 Another solution is to get the frequency response into arrays and display results using functions form Matlab base package. In this case it is also possible to change axes font name. You can also change the default system font for all figures and axes by putting the following code at the beginning of your m-file. Please note that this will change your default font during your Matlab session. I do this quite often if I do not want to think so much preparing figures for printing. Hope this helps and looking forward to see some comments. This entry was posted in Software and tagged Bode plot, matlab. Bookmark the permalink. I nearly gave up trying to change the axes labels with bodeplot and then I saw your post! Thanks a lot!! It's a great help. Good to hear it was helpful. Good luck! Could you please write in details what exactly is the challenge?